Aisha Richardson, a 34-year-old designer living in Brooklyn’s Bushwick neighbourhood, started buying plants a few years ago to relieve job stress. Before she knew it, Richardson was hooked. She now has about 30 plants—minus one that her cat ate—and follows dozens of plant-focused Instagram feeds. How much does she spend? “I don’t want to think about it,” she says. American millennials have been accused of dooming all sorts of things: beer, golf, cereal. But the cohort is credited with reviving the once-moribund market for houseplants. In the past three years, US sales have surged almost 50 per cent to $1.7 billion, according to the National Gardening Association. With many millennials delaying parenthood, plants have become the new pets, fulfilling a desire to connect to nature and the blossoming “wellness” movement. For a group that embraces experiences and travel, moreover, plants give Gen Yers something to care for that won’t die—or soil the rug—when they’re not around. Most plants are still purchased at garden centres or big-box retailers like Home Depot and Walmart, which mainly carry inexpensive, hardy varieties tailored to novice buyers. But a host of upstarts are targeting millennials with strategies straight from the playbooks of Warby Parker and Glossier. The Sill, for example, sells most of its plants online and offers care advice, free returns and the newbie-friendly slogan: “Can’t Kill It. Just Try.” Small brick-and-mortar plant shops with names like Tend, Tula and Soft Opening are also proliferating in Brooklyn and other hip precincts. Cultivating indoor plants dates back to the ancient Chinese and the famed Hanging Gardens of Babylon. The development of home heating systems in the 1800s made growing indoors much easier, and the Kentia palm, a favourite of Queen Victoria’s, became the must-have plant to own. The houseplant business boomed in the 1970s, when hippies snapped up spider plants and crafted macrame hangers for them. Then sales wilted as a minimalist, IKEA-inspired ethos took hold. Today, in the Age of Instagram, the Swiss-cheese-leafed monstera deliciosa and trendy fiddle-leaf fig have become such objects of affection among millennials, they’re half-jokingly considered children and given names. “I know what people who buy plants feel like,” says Darryl Cheng, whose House Plant Journal on Instagram has gained a following (and a book deal) by reassuring skittish owners that not every plant will look perfect and to accept whatever surprises Mother Nature throws their way. 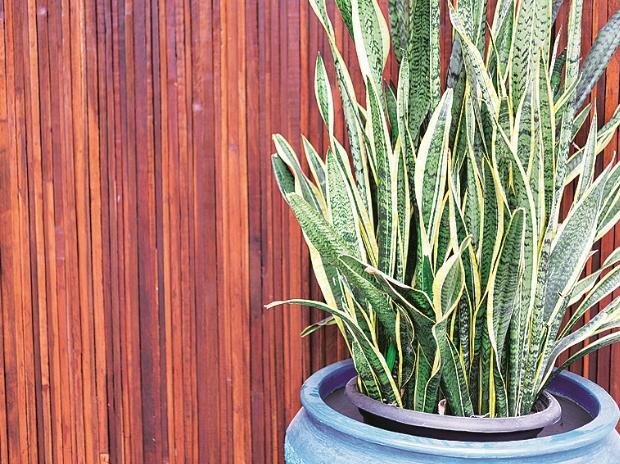 A Toronto native whose time-lapse video of his snake plant growing over 80 days has garnered more than two million views, Cheng has answered thousands of questions on plant care. Another popular hashtag, #plantsofinstagram, boasts as many posts—2.7 million—as one for the New York Yankees. Social media has fuelled the current craze, sending buyers to e-commerce sites like Etsy Inc, better known for handcrafted items, and EBay Inc. Even Amazon.com jumped in last year with a dedicated site for plants. Instagram could be next, as it recently added a shopping feature to its app. Searches on Etsy for “live plants” increased 82 percent year over year. The supply chain for live plants hasn’t changed much in the last half-century, and the industry is ripe for disruption. Growers, mostly based in Florida with operations throughout Latin America, work with a vast network of wholesalers, brokers and retailers. They have no direct contact with consumers (some don't even own a cell phone). As a result, it’s hard for them to detect new trends, and when word does trickle down about a hot new plant, it can take several years before it’s readily available.